Manufacturers are going to struggle to recoup costs through sustainment contracts going forward if this takes hold like it is expected to. The F-35 is known as a "next generation" fighter jet, so it only makes sense its parts be made through an innovative, modern approach.Hill Air Force Base's 388th Maintenance Group has recently started manufacturing certain F-35 replacement parts with a 3D printer. Base officials hope the new method will increase availability and drive down costs for the components. "We’re always driving for speed, safety and quality," said 388th MG commander Col. Michael Miles. "But cost-effectiveness is also a priority. This new tech has great cost-avoidance potential and provides rapid repair capabilities." Operating off of an electronic data source, 3D printers are controlled by a computer and put down layers of material like gypsum and plastic to create objects of nearly any shape. The technology has an almost endless spectrum of application. Tech. Sgt. Scott Mathews, assistant manager of the 388th MG's Air Force Repair and Enhancement Program, said when his shop receives damaged parts that can be reproduced by the 3D printer, early returns are indeed showing maintainers can get them back to the supply chain faster and for less money. “It’s much more cost effective for the Air Force than buying new parts,” he said. So far, the team has been reproducing simple plastic parts like wiring harnesses, grommets, fasteners, housing boxes and cable splitters. The process is still in its infancy and the airmen in the unit have been refining the operation through trial and error — making their own in-house designs generated with computer software. One of their first creations was a small-scale replica of the F-35. Mathews said in many areas, his shop is "getting away from a lot of fancy metals and getting into composites and plastics" — a reality that's made 3D printing more workable. But there's been positive signs that even more complex parts, requiring sturdier material, could one day be manufactured in-house. "There’s one printer (where) you can print with aluminum," Mathews said. "That opens up a whole new world of opportunities. When you look at all of the different parts we could manufacture ... it just boggles the mind, the things we could (make) on base. It's just insane." Hill received its first two F-35s in September 2015. By the end of 2019, the base will house three fighter squadrons made up of 78 jets. The active duty 388th Fighter Wing and the reserve 419th fly and maintain the jets. "There's a sense of pride knowing you played at least a minuscule role of getting them airborne," Mathews said. Some comments on the continued update of the aircraft including Auto-GCAS, the next tech refresh (at lot 15) and how the jet will receive Blk 4 updates. The Lockheed Martin F-35 Joint Strike Fighter programme is moving to a spiral development model as the project moves ahead, according to a programme brief given at Farnborough. A key focus for the programme is now “rapid capability insertion”, said Greg Ulmer, who was installed as vice-president and general manager for the F-35 by Lockheed Martin about three months ago and briefed the media on the programme at Farnborough on 16 July. The previous day the F-35 Joint Program Office and Lockheed Martin had announced they had reached a ‘handshake agreement’ on the contract for low-rate initial production Lot 11 (LRIP 11) for the F-35, with Lockheed Martin stating that it continues to work with the Pentagon to definitise a contract for 141 aircraft under LRIP 11, including aircraft for the United States, international partner nations, and Foreign Military Sales customers. Lockheed Martin has, in fact, recently announced a couple of technology insertions for the F-35. On 13 June the company announced it had selected Raytheon to develop and deliver the Next-Generation Distributed Aperture System (DAS) for the F-35 following a competition, while on 10 January the company said it had approved a strategy to accelerate the integration of an automatic ground collision avoidance system (Auto-GCAS) onto the aircraft. The F-35’s DAS collects and sends high-resolution, real-time imagery to the pilot’s helmet from six infrared cameras mounted around the aircraft, allowing pilots to detect and track threats from any angle. Ulmer said the Next-Gen would deliver twice the capability and be five times more reliable than the current DAS, delivering a cost saving of more than USD3 billion over the lifecycle of the programme. planned deliveries of the F-35 are 91 for 2018, ramping up to 130 in 2019, 145 in 2020, and 150 in both 2021 and 2022, moving to 160+ thereafter. An AIAA paper has released details of a new launcher for the outboard AAM carried on the F-35. This launcher incorporates LO compared to the previous launcher and will likely allow the aircraft to carry external AIM-9X, or ASRAAM, in a reasonably close to full stealth configuration. Impressive that this work was conducted with little impact on the program and saved a decent amount of money through development and test. It will be interesting to see if there is incremental work done on the AIM-9X and ASRAAM to make them low observable as well. Every bit of RCS reduction helps. There probably isn't much more that could be done as both missiles have minimal aero surfaces as it is. The better option is to incorporate LO into the next set of missiles. Moving to a 5th gen weapon set is a much asked for request from 5th gen aircrew and I expect something to come into service sometime in the mid 2020s. The U.S. Senate overwhelmingly approved a $717 billion defense policy bill on August 1, which includes an amendment that prohibits the sale of F-35 jets to Turkey until Pentagon issues a report in 90 days. The 87-10 vote for the annual National Defense Authorization Act (NDAA) will give the Pentagon a $638 billion base budget for defense-related programs linked to the Department of Energy plus an additional $69 billion for possible overseas operations. The bill would also authorize a 2.6 percent pay raise for troops, the largest in nearly a decade, as well as boost the size of the Navy and the ranks of the military services by 15,600 active-duty troops. The Pentagon report is expected to include an assessment of Turkey's participation in the F-35 program as well as the risks that would be posed by the country's purchase of the Russian S-400 missile defense system, Criticizing the U.S. for trying to force Turkey not to purchase the S-400 air defense system from Russia, Turkish Foreign Minister Mevlüt Çavuşoğlu last week recalled that Turkey had been trying to purchase the Patriot air defense system from the U.S., but the missiles have never been sold to Turkey when they were needed the most. "This is the reason why Turkey, which is in urgent need of these weapons, has chosen to purchase them from Russia," he added. Touching on the F-35 fighter jets, Çavuşoğlu also emphasized that if Washington as the worst-case scenario decides not to sell F-35s to Turkey, then no one can tell Turkey not to buy aircraft from a second country or not to produce its own. Turkey plans to purchase 100 F-35 fighter jets in the coming years, according to state-run Anadolu Agency. An interesting perspective from a retired Cold War fighter pilot who was shot down over Vietnam. Our Pilots Deserve Absolute Air Superiority. They Need the F-35. America’s history is filled with far too many instances where our military personnel were forced to rely on extraordinary bravery and sacrifice to make up for having inadequate and obsolete weapons and equipment. While we honor such dedication to duty, we owe our military better. That is why there should be serious concern about any potential cutbacks to the F-35 fighter program—either by diverting precious funds to costly and unproven concepts or by continuing to spend money on fighters whose designs, in some cases, date back to the end of the Vietnam War. This is an issue I take personally. On Oct. 25, 1967, I strapped into my F-105 Thunderchief fighter-bomber and took to the sky on my 33rd combat mission to strike a bridge in the middle of Hanoi, North Vietnam. I never made it back to base. Struck by enemy fire over the target, I was held prisoner for the next 5-1/2 years. Torture, isolation, and near constant abuse defined my existence. The airplane I was flying was truly an impressive machine when it came to speed and looks. However, it was wholly unsuited for the missions assigned to me and other pilots. A product of the 1950s, the Thunderchief was specifically designed to deliver nuclear weapons against Soviet forces should war ever break out in Europe. That was a far cry from the sorties we executed in Vietnam. Ultimately, half of the F-105s ever built were shot down, including my own. After Vietnam the Air Force leadership internalized this lesson to the core. Far better designs and cutting-edge technologies like stealth and precision weapons defined the future of the service. The results of these deliberate investments have proven most impressive, with American air crews having operated with unparalleled effectiveness over the ensuing decades. However, America’s air-power arsenal now needs a reset. Failing to accept this advice will lead us down the road of lives lost, air crews held captive, and strategic objectives left unmet. That is precisely why the Air Force, Navy, and Marine Corps have sought to develop the F-35 to replace their legacy types. Built with vital stealth technology necessary to help circumvent enemy defenses, in addition to powerful sensors and computing power required to operate in the information age, this aircraft is not an optional item for the country. If we want to fight, win, and live to fly another day, we need the F-35. While I understand frustration regarding some of the cost and schedule problems facing the program in the past, I also know from firsthand experience that such issues pale in comparison to going to war with outdated, inadequate equipment. I also know that all new weapons systems suffer their fair share of teething problems. One of the proposed alternatives—buying more F-15s and other Cold War-era fighters, will not work.Those aircraft are based on a 40-year-old design and would not survive for long against the air-defense systems fielded by Russia and China today, not to mention those of tomorrow. We have been down this road before and must not do so again. Our country’s top leaders—ranging from the president to members of Congress, and the military service chiefs—spend a lot of time at Joint Base Andrews as they travel around the world on official business. If they look across the ramp, they will notice a Thunderchief standing as a memorial. Every time I look at that jet, I am taken back to the perilous skies over Vietnam and the memories of those who gave everything for the country. Reflecting upon that legacy, one thing is clear: Investments in programs such as the F-35 will make the difference between success and failure for those following in my footsteps. I wonder if there’s a way they could do conformal weapons shrouds or covers. Design some sort of LO covering that could be placed over wing mounted missiles that either could either be jettisoned or even open and close to allow weapons to be fired Having it be flush and LO would also seemingly help reduce the drag of the weapons on the wings. An external internal weapons bay? The decision makers in Germany would also benefit from reading this. Advanced 4 th gen AC will suffer losses similar to what was seen in Vietnam in any contested environment. I would call it a bay, just some sort of LO shroud or cover that blended into the wings and hid the missiles. Make it so it could be jettisoned or opened (like an external bay I guess) when the weapon was going to be deployed. if properly designed, could also lower the aerodynamic penalty. Based on the photos above I cant see this working. I'll be detection range for the AC drops by 3x. Larger magazines are better dealt with by dedicated wingman type programs utilizing the communication capabilities available but not yet fully utilized by the radar. Yes, software will be complicated but not compared to the physics of LO. I’ve thought about this concept for a while, even have some sketches at home of what I was considering back in the 90s. I’d considered an aerodynamic box like attachment where the standard wing pylons sit but flush with the wing which, for WVR missiles, would have doors that open in front and behind the missile to allow a seeker head to acquire and a vent for the exhaust respectively. I’m not sure it would work though as aerodynamics will probably get in the way of the fit and operation of these systems. Pylons sit extended from the wing to allow clearance and likely to not interrupt too much with the flow of air over the wing. A pod/attachment sitting flush with the lower wing surface may interrupt that flow. It may also present some issues with weapons clearances? Saying that plenty of aircraft have missile rails that sit very close to the lower wing surface, or on top with the Jaguar, so it doesn’t seem out of the question. In that context I’m surprised we haven’t seen it yet, at least in concept form, but that could be for two reasons, no airframe has had VLO enough to warrant it until now or that the engineering challenges are such that it isn’t worth the investment. Five more RAF F-35Bs have crossed the pond and arrived at RAF Marham. According to Touchdown-News the following five F-35 Lightning IIs arrived at Marham yesterday, 3 August: ZM140, ZM141, ZM142, ZM143 and ZM144. Secrets about Britain’s new £9 billion stealth fighter jets have been leaked in an audacious honeytrap plot, The Mail on Sunday can reveal. In a sophisticated sting operation, the profile of an RAF airwoman on dating app Tinder was hacked, allowing a spy, posing as the woman, to contact RAF servicemen and sweet-talk at least one into revealing details about the F-35 Lightning II fighter. RAF sources last night confirmed information about the hugely sensitive and expensive stealth jet had been passed to an as-yet unidentified third party. It is unclear if a foreign power was involved, but suspicion is likely to centre on the intelligence services of Russia and China. Both countries are desperate for information on the F-35 fleet which represents the next generation of stealth fighter and a potential threat to their own military assets. Confidential documents obtained by The Mail on Sunday provide details of the RAF’s concern about the extraordinary plot, which swung into action just weeks after the first four F-35s arrived at RAF Marham in Norfolk on June 7. The UK is committed to buying 138 of the jets, each costing £92 million. The first order is for 48 and the purchase price and servicing costs will bring the MoD bill up to £9 billion. To justify the huge price tag, the planes must achieve aerial supremacy and evade sophisticated air defence systems – hence the vast secrecy surrounding them and the speed with which the RAF responded to the security breach. A memo sent from the RAF’s head of security to top brass on July 9 said: ‘Within the last week a serving member of the RAF had their online dating profile hacked. It subsequently transpired that the perpetrator then attempted to befriend another serving member of the RAF to apparently elicit comment and detail on F-35. ‘Fortunately, little information was disclosed and the individual whose account had been hacked reported this matter expediently enabling prompt follow-up action and investigation. While the RAF say ‘little information’ was lost, any breach of security around the F-35 will be seen as deeply damaging and highly embarrassing by service chiefs. To underline the seriousness, all RAF personnel, in particular those with access to the F-35s, have been warned to be on high alert for approaches by foreign agents. Service personnel who share information that could be useful to enemies of the state face charges under the Official Secrets Act. RAF sources said that no information of a sensitive or classified nature about the F-35 had been disclosed in any conversations ‘via the dating site’, but did not rule out the passing of data by other means. The breach took place within weeks of the arrest of Bryn Jones, a 73-year-old former chief combustion technologist with Rolls Royce, the firm that provides the F-35 engines. He was also a visiting professor in gas turbine combustion at the Aeronautical University of Xian in central China. Scotland Yard confirmed that the investigation into the father-of-five is continuing. Mr Jones is understood to deny any wrongdoing. The leaked memo is a lot less sensational than the Daily mail article but amusing none the less. The Dutch continue to work the F-35 across its multiple configurations. Lockheed Martin has touted the F-35's ability to carry weapons under its wings as converting the fifth-generation jet into "Beast Mode." When the F-35 carries any weapons under its wings, it loses some of its stealth features, which are best enabled by keeping all of the weapons in the aircraft's internal weapons bay, the Aviationist reported. The video in question is here, https://youtu.be/aXhbi-aEBas and is well worth a watch! Australia is building its future air power capabilities around the F-35. What future threats might the fifth-gen fighter face? As tensions rise over China’s territorial claims in the South China Sea, Australia deploys a squadron of F-35A Lightning Joint Strike Fighters (JSFs), to the Royal Malaysian Air Force Base Butterworth. This is a location very familiar to many Australian defence personnel from decades of deployments, going back to the dark days of World War 2. 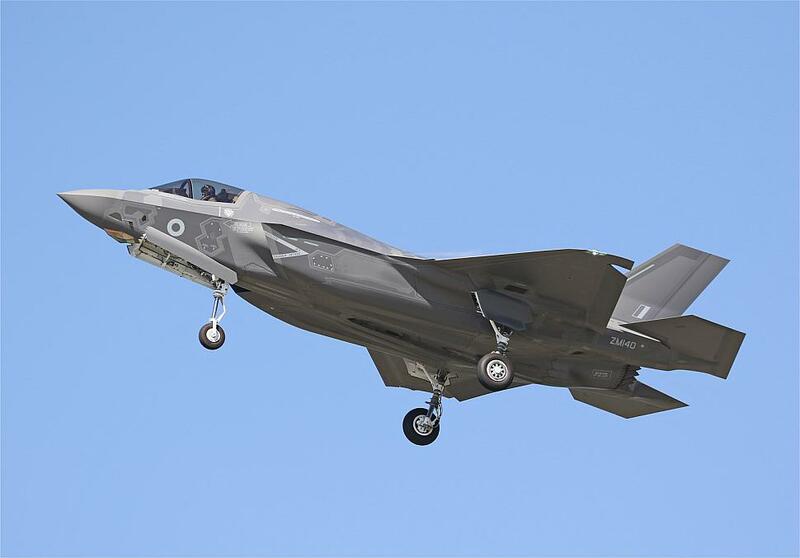 For the Australian Defence Force (ADF), this is the first regional deployment of the F-35, an aircraft far better than anything operated by any regional air force. Initial combat air patrols, out into the South China Sea, though nowhere close to the disputed territory, demonstrate F-35’s knowledge superiority. Aircraft track People’s Liberation Army Air Force (PLAAF) Chengdu J-20 aircraft conducting their own combat air patrols, monitoring and classifying their radar emissions and also those from a variety of air defence radars operating from PLA-Navy ships as well as from the island bases. That’s all without registering more than some faint returns on the PLA radars. But undetected they aren’t. As one aircraft makes its final approach to land at Butterworth, a small quad-rotor unmanned aerial vehicle (UAV) zooms into its path. The pilot avoids a collision – just – but his wingman isn’t so fortunate. A second UAV goes straight into his engine. The pilot safely ejects but a $150 million aircraft has just fallen victim to a UAV worth at most a couple of thousand dollars. Worse is to come. As smoke from the burning aircraft rises into the sky, dozens of small suicide UAVs rise from scattered backyards and bush clearings and converge on the base, each carrying an explosive payload about the equivalent of a hand grenade – quite sufficient to damage or destroy an expensive aircraft. These UAVs are flying autonomously in a swarm, heading to coordinates based on satellite imagery taken in the previous half-hour. Many fall to base defences – electronic jamming and good old-fashioned gunfire – but enough get through to destroy one aircraft and damage two more. At a crucial time, a squadron of modern combat aircraft is rendered combat ineffective. Everyone knows precisely who was responsible but actual evidence is scanty. Recovered UAVs, readily available commercial models, don’t carry PLAAF markings and their operators, quite few in number, disappeared the moment their little aircraft were airborne. Round one goes to the PLA – a classic case of disruptive technology where the traditional exercise of air power was constrained by imaginative application of a new capability. This scenario is wholly fictitious and it might not play out this way at all. Practically everyone is now aware of the risk of weaponised unmanned aircraft systems (UAS) and much research is being devoted to counter-UAS technology. An early report on a reduction in F-35 concurrency costs identified from March 2017 to March 2018. An approximate US$300 million reduction is what is being reported. The F-35 program's concurrency cost estimate fell 2 percent from March 2017 to March 2018, reflecting a considerable drop in forecasted issues balanced by an increase in realized costs, according to a new report to Congress. The newest concurrency estimate, included in a July report from the Office of the Secretary of Defense, is $1.41 billion through the end of the system development and demonstration phase -- compared to the March 2017 estimate of $1.44 billion. A couple of still images are available from that Dutch training mission. I have seen reports on twitter that both Turkish F-35s at Luke AFB are being sent to storage and the aircrew sent back to Turkey, but seems premature and cannot confirm. The bill as signed only requires the SecDef to submit a report on Turkey and US relations and weapons sales. Will wait and see what that brings. US suspends F-35 sales to Turkey. Now what? TURKEY F-35 SALES SUSPENDED: While new equipment must still be funded, many of the new policies in the NDAA kicked in immediately yesterday. That includes suspension of F-35 joint strike fighter sales to Turkey until Defense Secretary Jim Mattis turns over a report to Congress on relations and weapons sales to Ankara. The Pentagon has 90 days and the clock is now ticking. But it remains unclear what effects the NDAA policy may have. In June, Turkey received its first two F-35s from maker Lockheed Martin. Now, Turkish personnel are being trained on both at Luke Air Force Base in Arizona. 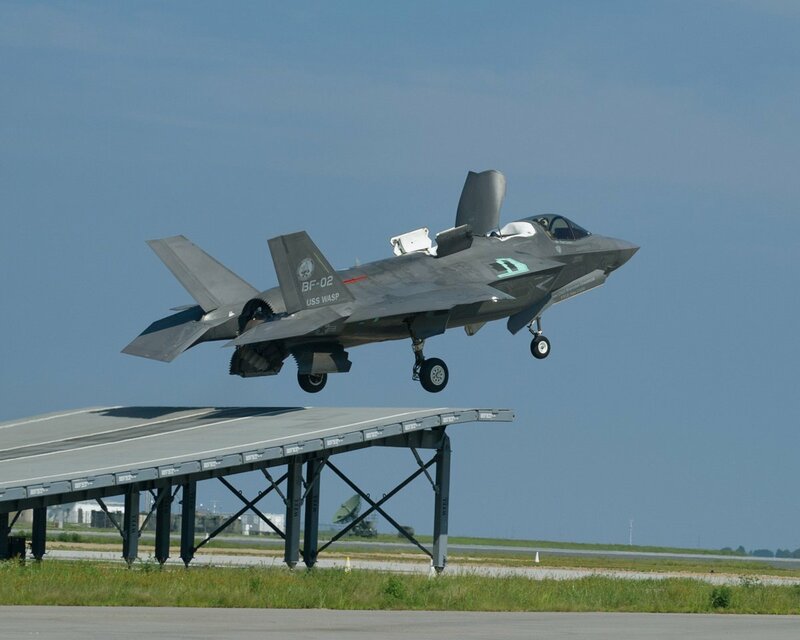 “The training of Turkish F-35 personnel at Luke Air Force Base will continue until the NDAA-required secretary of defense F-35 report has been submitted to Congress for their decision on the way forward,” Lt. Col. Mike Andrews, a Pentagon spokesman, said. Lockheed was mostly mum on Monday. “Legislation related to the relationship between the United States and Turkey is a government-to-government matter and the Department of Defense is best placed to answer questions,” a spokesman said. “We’ll provide information if requested to the Pentagon as they complete their report and will comply with any resulting official U.S. government guidance.” Turkey wants to buy 100 of the aircraft. Richard Aboulafia, vice president of analysis at the Teal Group, said Ankara has so far ordered 32. It was expected to take delivery of about 10 per year over a decade or more, so the three-month deadline for the Pentagon report might not be particularly disruptive. There have been multiple AGCAS articles over the last few months now that the capability is coming to Blk 4 but I found this article talking about the future aspiration of Air to Air avoidance new and interesting. An initial flight test on an F-35A is scheduled to occur later this year, she added. Calling it "beast mode" with 4 small bombs and 2 small aa missiles sounds a bit ridiculous. I know it´s a Lockheed PR thing but still, that´s a very small load. Why are the bombs unaligned? The inner ones hang in a different position than the outer ones. It all looks so amateur, like a badly executed plastic model. Agree it is a wanky statement. The "beast mode" is apparently based on 6 Mk84 weapons while the Dutch were only carrying Mk-82s. The key here is the F-35 also has an additional two A2G weapons, up to Mk-84, in the internal bays as well as two AIM-120s, all while carrying 18,000 lbs of internal fuel. Few fighter aircraft can carry a similar or greater load. Assume you are talking about symmetry. Stores on most modern fighters are aligned downward to reduce the store angle of attack and reduce drag. The same reason is used for the F-35 where the weapons are aligned to the wing and for drag reduction. You also want negative AoA on stores so they more easily separate downward. Yes stations 10/9 and 2/3 are aligned differently but I see no reason why they need to be symmetrically aligned. I'd imagine in testing, each wing position had a different aerodynamic release "profile" for the weapon - either that, or based on the aero around the wing, those positions provided the best performance for the aircraft. Likewise with the 9X, I'd assume it's either an optimal release angle for the missile, enabling quicker HOB maneuvering - or again simply more optimized for cruise and low drag while still attached. To me it's the opposite of amateur; looks highly advanced and calculated. I also wouldn't detract from it's "light load" either - can't forget about all the internal stores! Has nobody noticed that a country involved in the F-35 programme (component production and with orders for the aircraft) has seriously fallen out with the USA? I see no comment about the same. Will this fallout be a blip or will Turkey rein in F-35 orders? There's a little more at play than some of the more recent events. Component production can be shifted. It may not be ideal, and likely not easy, but can be moved. The real question is, does NATO want Turkey to have F-35's after they just acquired Russian built ground based missile defense systems? Not exactly something a NATO country should be doing. Personally I think it will be a blip. Turkey reining in F-35 orders is not really a big issue, they represent less than 1/30th of production orders. Their contribution to the industrial side of the program is bigger but not program ending by any means. Other nations are more than happy to take over the industrial work that Turkey gained should they be removed from the JSF program. Turkey currently has 32 F-35s on order out of their expected 100 and I would expect any aircraft not delivered to Turkey would be absorbed by the USAF. The key though is that the bill as passed required a report on Turkey economics and weapons sales so we are still 90+ days from anything concrete happening and likely more like 180 days away before actual decisions are made. Two U.S. F-22 stealth fighter jets squared off in simulated dogfights with two of Norway's expanding fleet of F-35 aircraft on Wednesday as part of an exercise aimed at strengthening the NATO alliance and increasing its deterrent power. I wonder if they ended up in WVR dogfighting, with neither getting a missile lock on the other. Certainly not boring if that was the case. Likely. It would be a big temptation to mix some WVR ACM sets in but I wonder other than pilot ability how much they would gain. Both jets are 50 AoA 9G airframes and reportedly perform similar in the subsonic region so pilot skill, platform knowledge and likely a little luck would be the deciding factors. The other side is if they alternated playing red Air for each other and simulated high end threats. This article https://www.dailysabah.com/defense/2018 ... components indicates that Turkey are the sole provider for only two components for the F-35 and I think it is pretty likely both could be substituted, certainly with some hassle and additional cost, without significant program issues. The Turkish MRO for the F135 is being replicated in the Netherlands and Norway and the UK would be keen to gain that work if it became available. In the end losing Turkey as an F-35 partner doesn’t overly impact the acquisition program and additionally provides other partners with greater industrial opportunities. I'd definitely pay to see that!! I love this quote though "He declined to name the winning aircraft, saying only: "The F-22 is a very formidable opponent."" Even in an F-35, I can imagine it would be quite unnerving knowing a Raptor is out to get you. Perfect training though. Another video of Norwegian F-35A's and USAF F-22 over Norway. Nice shot of a USAF F-35A firing its cannon. The U.S. Air Force has announced that the first operational F-35A fighter jet successfully tested its 25 mm internal cannon for the first time. According to the USAF’s report, pilots from the 388th Fighter Wing’s 4th Fighter Squadron were the first operational unit to fire the F-35A’s 25 mm cannon in a strafing run during training. The two-ship formation fired on two sets of ground targets on the Utah Test and Training range Aug. 13. Loading and firing the cannon was one of the few capabilities Airmen in the 388th and 419th FWs had yet to demonstrate. The F-35A’s internal cannon allows the aircraft to maintain stealth against air adversaries as well as fire more accurately on ground targets, giving pilots more tactical flexibility. The internal cannon fires 25-millimeter rounds that can be used to target enemies in both air-to-air and air-to-ground combat. According toGuns.com, the F-35 cannon can fire 55 rounds per second, but it must fire relatively slowly to conserve ammunition. That conservation is important for the F-35, as the plane can hold only a 220-round magazine. If fired at 55 rounds per second continuously, the F-35 would run out of ammunition within four seconds. More Turkey news including that the JPO is supporting the report submission requirement, Turkish crews will continue to train at Luke and the industrial side of things will continue until told otherwise. My guess is to to help with radar deflection, with the help of the surrounding surfaces. At this point the first landing of the F-35B on the QE is expected some time in the third week of September. Just over a year since HMS Queen Elizabeth arrived in Portsmouth for the first time, she will sail for her longest and most significant deployment yet. Known as Westlant 18, the primary purpose of the trip is for QE to conduct the first of class flying trials (FOCFT) with the F-35B Lightning II. Before crossing the Atlantic, the ship will embark more helicopters and conduct a few days of additional rotary wing flying trials in UK waters. She will then head to the eastern seaboard of the US which is likely to take around 10 days, depending on weather and the flying programme. When close to the US, the Merlin Mk4s will fly off Royal Marines to conduct a small demonstration assault landing. This is not a full-scale test of QE in the assault role (HMS Prince of Wales will undertake the main development of amphibious capability) but is a preliminary trial of the ship’s ability to embark troops onto helicopters and launch them simultaneously. The Royal Marines will then participate in joint exercises ashore with their US Marine Corps counterparts. QE’s is expected at Naval Station Norfolk, Virginia in early September. She will unload Royal Marine equipment and take on test equipment required for the F-35 flight trials programme. While the crew get some time ashore, the ship is likely to be of a subject of great curiosity to the US military who have generously provided much support for the regeneration of UK carrier strike. Norfolk is home to six of the US Navy’s ten supercarriers and QE is a showcase for a radically different approach to aircraft carrier design. The F-35 flight trials off the east coast will consist of two Developmental Testing periods (DT-01 and DT-02) which are scheduled to last around about 3-4 weeks each, with a break in between. The first F-35 landing on QE will probably be in the 3rd week of September. A historic occasion will be the ship’s arrival in New York sometime in October, which will attract considerable public attention in the US. QE will come to anchor with small boats used to ferry visitors and personnel to and from the ship. The RN is in negotiations with the New York harbour authorities for a ‘high profile anchorage’. Prominent US and British politicians are likely to visit the ship and this will be the first big demonstration of her potential as a floating ambassador for the UK. Before returning home in December, the ship will make a second visit to Norfolk to re-embark equipment and Royal Marines. Some additional ALIS work has been contracted that includes partner blocking of messages and continued security improvements. Lockheed Martin Corp., Lockheed Martin Aeronautics Co., Fort Worth, Texas, is being awarded a $26,127,742 cost-plus-incentive-fee, cost-plus-fixed-fee order (N0001918F2038) against a previously issued basic ordering agreement (N00019-14-G-0020). This order provides for non-recurring engineering activities associated with the F-35 Autonomic Logistics Information System (ALIS) Security Architecture Phase III design, development, integration and test of the ALIS Sovereign Data Management (SDM) system in support of the Air Force, Marine Corps, Navy and F-35 international partners. This effort provides F-35 international partners the capability to review and block messages to prevent sovereign data loss. Additionally, the effort includes studies and recommendations to improve the security architecture of ALIS. A GRANDFATHER has spent more than £30,000 building a home-made F-35B lightning fighter jet simulator - in his garden SHED. Kenneth Mockford, 54, shut himself away "from dawn until dusk" to construct the replica aircraft from hundreds of tiny pieces. He put it together by googling photos of the military fighter jet, which are currently being used for training by Royal Air Force and Royal Navy pilots. 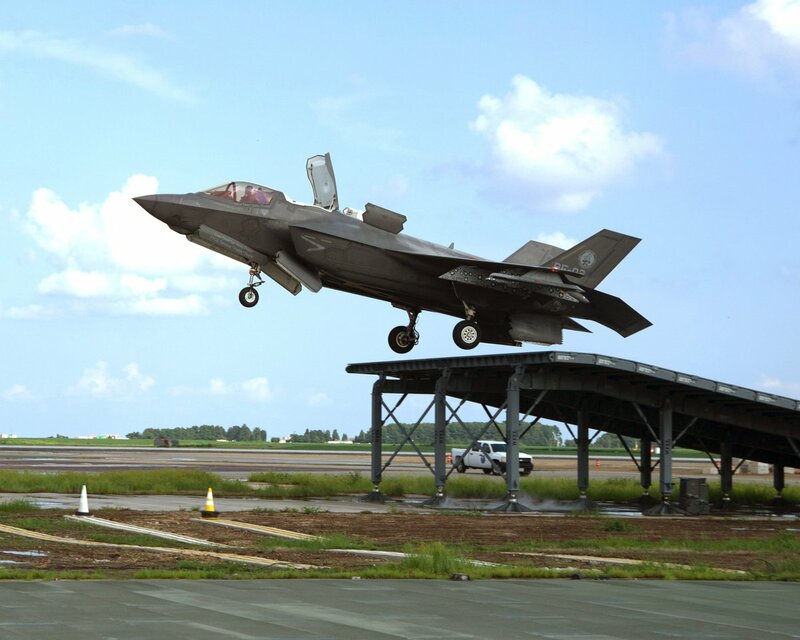 Mr Mockford, who stems from a line of RAF veterans built the fascinating machine, said: "I spent many late nights constructing the F-35 in my garden shed then loaded it on a truck and moved it to a warehouse for flying. "I started the plane with just a fuselage which I acquired. "All of the other components like the seats, the main instrument panel, all the switches and buttons that are in there I have made because they are not available to buy. "I am a nutty engineer, basically. Dimensions were a major issue for me when building because nobody is going to let me climb on their F-35. "So what I do is I research the internet for photographs and there are thousands of pilots sitting in cockpits. "From what I do from that is I scale the mains instrument panel of the size of the hands of the pilots that are flying in them or sitting in them. "I know how big my hand is and I know how big their hand is therefore, so I know how big the scales are. Mr Mockford, from Burwell, Cambidgeshire uses a home-made laser cutter and a Computer Numerical Controller (CNC) to cut and shape all the parts of the simulator. "Sizewize I think I have it all pretty close and the dimensions are about 95% accurate," he added. "I began building the F-35 in April, but luckily I didn't need to build the fuselage had already been built so all I had to with with that is take it apart and rebuild it. "I built the main instrument panel from scratch and all the electrical switch panels I made as well. Mr Mockford's love for flying lead to him starting up his own simulator business in Mildenhall, Suffolk. In 2014, the dad-of-two quit his secure job as Head of Engineering at Baxter Healthcare UK and turned his shed into an airhanger. Along with his father, Ray, who sadly passed away in 2016, Mr Mockford launched his flight simulator business. The impressive F-35 jet is the third large scale simulator that he has constructed in the garden of his home he shared with wife Martene, 50. He has also built a Boeing 737-800 and a Lynx helicopter, which now operate from his simulator business, Sim2do in Mildenhall, Suffolk. And Mr Mockford credits his incredibly technical work to his Autism, which he says works as a 'superpower' when it comes to mechanics. More at the link but the guy has some impressive engineering skills!!! There is little information known about the ALE-70 and as far as I can tell it wasn't actually released as public knowledge until a few years ago when it turned up in a budget document. Airborne electronic warfare (EW) experts at BAE Systems will provide the U.S. Navy with fiber optic towed decoys to help defend the F-35 joint strike fighter aircraft from air-to-air missiles and other incoming threats. 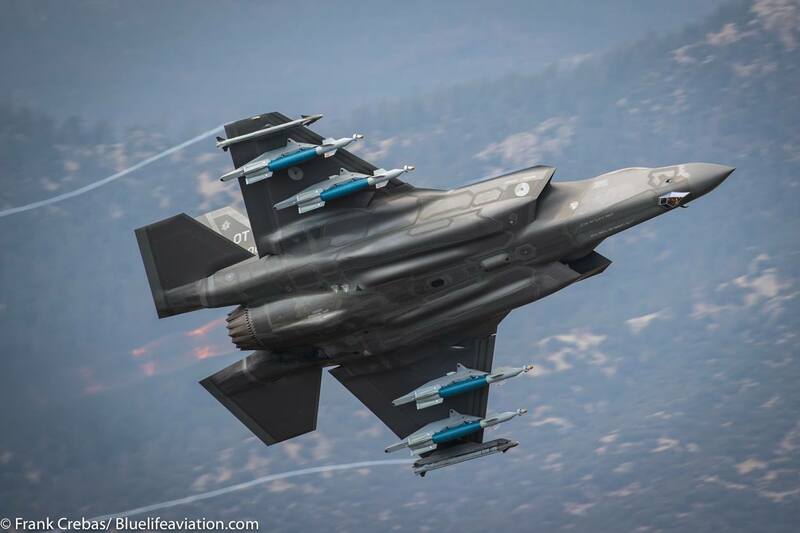 Officials of the Naval Supply Systems Command Weapon Systems Support activity in Mechanicsburg, Pa., announced a $70.4 million order Thursday to the BAE Systems Electronic Systems segment in Nashua, N.H., to build the T-1687/ALE-70(V) countermeasures system for the F-35. Designed and produced by BAE Systems for deployment from the F-35, the ALE-70 towed radio frequency countermeasure consists of the reel and launcher assembly, tow line, T-1687 countermeasure transmitter, and electronic and mechanical subassemblies. It also has canisters, and explosive cartridges to deploy the decoys. When deployed from the aircraft, the ALE-70’s countermeasure transmitter responds to commands from the countermeasure controller located in the jet and emits waveforms to confuse or decoy adversary radars or radar-guided weapons. The system may be towed or free-flying. The Navy is making the order to BAE Systems sole-source because the company is the sole designer, developer, and producer of T-1687/ALE-70(V) countermeasure transmitters, and is the only responsible source with the technical data and requisite knowledge to meet Navy requirements. The T-1687/ALE-70(V) countermeasures system functions similarly to the AN/ALE-55 fiber optic towed decoys (FOTDs) aboard the Navy's F/A-18E/F Super Hornet jet fighter-bomber fleet, although the ALE-70 is specially designed and fitted to the F-35. The AN/ALE-55 transmits complex electronic countermeasures signals from a transmitter that trails behind its combat jet to spoof incoming radar-guided anti-aircraft missiles. The aircraft-towed decoy with onboard electronics works together with the Super Hornet's electronic warfare system to jam radar seekers in air-to-air missiles. The system also can lure incoming missiles away from their actual targets. The ALE-55 detects a threat radar in its acquisition mode and uses radar jamming to prevent it from locking to a target. The ALE-55's electronic warfare package analyzes the threat, and the towed decoy emits the jamming signals to confuse the incoming missile's tracking radar. If an incoming missile locks on with radar, the ALE-55 analyzes the signal to determine the best jamming technique to break radar lock. The ALE-55 system consists of an onboard electronic frequency converter (EFC) and a fiber-optic towed decoy. The EFC converts radio frequency signals sent from the plane’s electronic warfare system into data coded and transmitted via light to the fiber optic towed decoy. More 3D printing but this time from the USMC. The component is a small part mounted on the door pressing it into the latch. It was designed and 3D printed by Marines from Combat Logistics Battalion 31 (CLB-31) in Carderock, Maryland. Sam Pratt, a mechanical engineer at the Carderock’s Additive Manufacturing Project Office, provided further technical assistance to the team. Tasked to train CLB-31 Marines in design and application of 3D printed parts, Pratt was asked by the officers of CLB-31 to help the Marines make a grounded F-35 functional again. By the time Pratt got to the lab, the Marines had already 3D printed the part, but were having sizing issues. The Marines had designed the part in Blender, a design software mostly used for game and movie special effects. According to Pratt, Blender is not ideal for accurate measurements or engineering work, so further modifications were needed before installation. The replacement part was made with a hobbyist-oriented 3D printer and PETG filament for high strength and durability. The U.S. Air Force has been using 3D printing as a cost and time efficient method to manufacture aircraft parts and prototypes. Since 2015, Tinker Air Base, Oklahoma has employed 3D printing to provide parts for airplanes and facilitate repair operations. Most recent development includes the Air Force Research Laboratory (AFRL) and HRL Laboratories partnership to further the research into 3D printed ceramics for use in hypersonic flight vehicles. Last month, United States’ Hill Air Force Base, Utah, announced that it will install a 3D printer to manufacture spare parts of F-35. It is hoped that the project will be cost and design efficient method to manufacture aircraft parts. Continuing good reports from the USAF on the F-35 now it has been in service for approximately two years. Some additional discussion at the end about the affordability of upgrading the early block jets which is currently funded by the USAF and will occur over the next four years. As the Air Force wraps up its second year of operational service with the F-35, Chief of Staff Gen. David Goldfein says he “could not be happier” with the aircraft, and that it is living up to its billing as a “game-changer.” Speaking with Air Force Magazine in his Pentagon office, Goldfein said the F-35 provides its pilot with all the information about the battlespace—even before takeoff—that an F-16 pilot like himself would only have seen after a mission, debriefed with data provided by range instrumentation and command and control aircraft. “We almost mislabeled the F-35,” he said, “because it does far more” than simply “deliver ordnance” in the attack and fighter mission. “It’s a fusion machine,” he said, gathering intelligence, surveillance, and reconnaissance information, and performing command and control functions. “It does it all. It really operates across the spectrum,” Goldfein asserted. He noted that in debriefing after an F-16 mission, Goldfein saw threats he’d missed, aircraft his sensors didn’t detect, and other gaps in the situational picture. Now, with the F-35, “the young lieutenant that jumps in the F-35, he’s seeing that picture, not during the debrief, but during the flight. And actually, he’s seeing it while he’s taxiing out. That’s a fundamental game-changer,” said Goldfein. The pilot can manage the battle in an “optimal” way without missing opportunities or unseen perils, he said. Goldfein observed that the F-35 has been like two programs: the problem-plagued project of before 2012, and the one since, which has performed consistently well, both in terms of what the aircraft provides operationally and in declining acquisition costs. Right now, he said, “We’re focused on getting as much combat capability as we can as quickly as we can in the operational force,” and the early model aircraft are primarily used in pilot training. “Whether we go back and retrofit [those jets] is something we’ll continue to look at, but it’s going to be fundamentally a resource discussion,” he said. After a mid-air emergency forced an F-35A fighter jet to return to Eglin Air Force Base, the plane’s nose landing gear collapsed, leaving the fifth-generation fighter face down on the runway. It’s not the first time the F-35 has had an issue with its front landing gear.In 2017, Navy pilots using the F-35C model — a variation of the fighter jet designed for operations on a carrier ― complained the jet would bob up and down on its nose gear when being launched from a catapult. The issue was bad enough that pilots said they could not read instruments while trying to take flight. A number of pilots also said they experienced pain from the motion. The department worked with Lockheed Martin on a fix for the issue. You just gotta love people that throw everything they have a project! The usual confusion by The Drive of the actual issue and what the intent of the acquisition is. Prep work for the impending first landing and take off on QE. British test pilots from the RAF and BAE practice flying F-35B test aircraft BF-02 off a ski jump at Naval Air Station #Patuxent River #PaxRiver Mayland on 13 Aug preparing for the arrival of #carrier HMS QUEEN ELIZABETH #QnLz. BF-02 is one of the original #JSF test aircraft. No damage from the bird strike but clearly a busy day at Eglin. While one F-35A stealth fighter at Eglin Air Force Base, Florida, was experiencing a nose gear malfunction Wednesday, another F-35 experienced a bird strike, Air Force officials confirmed Thursday. "A bird strike involving an F-35A Lightning II was identified upon completion of a training mission yesterday just after 12:00 p.m.," Airman First Class Daniella Pena-Pavao, spokeswoman at the 33rd Fighter Wing, told Military.com Thursday in a statement. The Northwest Florida Daily News first reported the incident. "This incident was unrelated to the ground mishap involving another F-35A assigned here," Pena-Pavao said. Following the strike, maintenance personnel conducted "a thorough inspection" and determined the aircraft sustained no damage," she said. The pilot was unharmed, officials said. "Samples were collected during the inspection that will be sent to the Smithsonian to identify bird species and assist in migration pattern analysis. Bird strikes are a frequent occurrence in aviation," Pena-Pavao said.